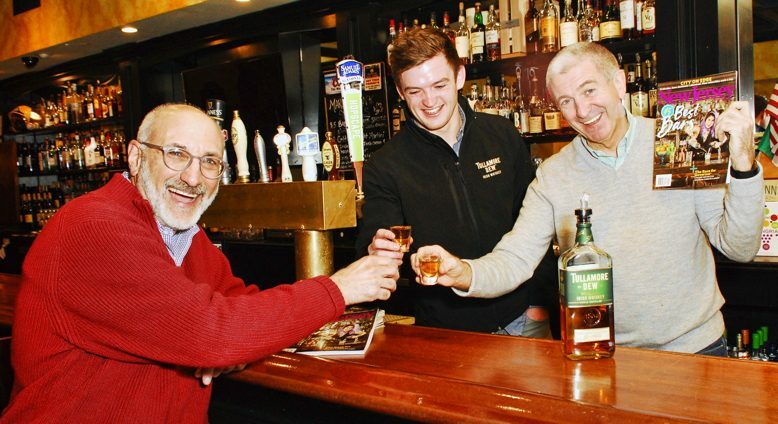 Kilkenny House in Cranford prevailed over 29 other contenders in New Jersey Monthly’s recent Best Irish Pub poll sponsored by Tullamore Dew Irish Whiskey. Kilkenny’s owner Barry O’Donovan, right, accepts congratulations from New Jersey Monthly editor Ken Schlager, left, and Tullamore Dew brand ambassador Peter Crowley. Kilkenny House has been a Cranford favorite since opening in 2008.